Human Oxidized LDL ELISA Kit (HNE-LDL) | Cell Biolabs, Inc.
LDL, so-called "bad cholesterol", is even more dangerous when it becomes oxidized. Oxidized LDL (OxLDL) is more reactive with surrounding tissues and can collect within the inner-lining of arteries. Macrophages, cholesterol, and other lipids can accumulate at the site (atherosclerosis), ultimately forming a plaque that can lead to heart attack, stroke or death. Oxidation of LDL affects both the lipid and protein components of LDL. The OxiSelect™ Human Oxidized LDL ELISA Kits are enzyme immunoassays developed for the detection and quantitation of human oxLDL in plasma, serum or other biological fluid samples. The kits contain a copper oxidized LDL standard against which unknown samples may be compared. This oxidized LDL assay kit is configured to selectively measure oxLDL in HNE-LDL. 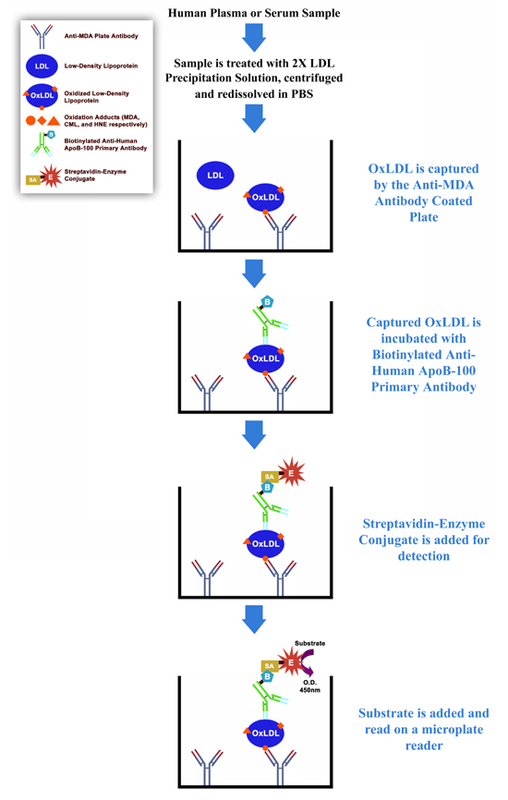 Figure 1: Assay Principle for the OxiSelect™ Oxidized LDL ELISA Kits. Wang, F. et al. (2015). Shift of the interconnection from the reaction system of paraoxonase 1 to the peroxidation reaction system of myeloperoxidase with HDL-C levels: a marker of atherosclerosis in patients with normal cholesterol levels. Clin Chim Acta. 438:370-375.